Welcome to Habitat for Humanity of the Mid-Ohio Valley! Habitat for Humanity is a Christian Ministry that believes that all people deserve a simple, decent, affordable place to live. 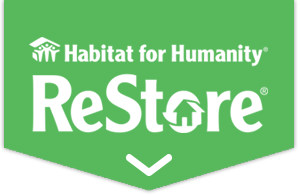 Habitat for Humanity of the Mid-Ohio Valley works towards the elimination of inadequate housing here in Wood County, West Virginia and Washington County, Ohio and has been an active affiliate of Habitat for Humanity International since 1990. Since then, we have completed 100 homes and have provided housing for over 350 individuals. How old do you have to be to volunteer at the store? Wyatt is 14 needs to do 3 hours of community service for social studies. They do such wonderful work for our community! We have rock star volunteers and donors!!! Last week volunteers stayed one day until 5:30 to complete the installation of exterior walls! Habitat for Humanity of the Mid-Ohio Valley is with Ammie Rasmussen and Mary Davis Townsend. Learning a lot and eating well! !